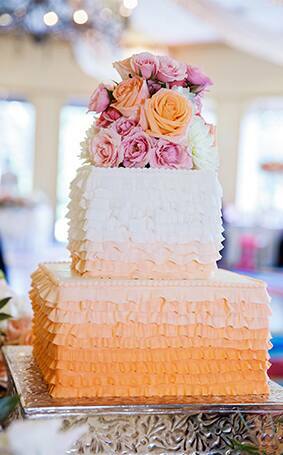 This Wedding Cake Wednesday I'm serving up an oh-so-romantic dessert filled with fondant frills and layer upon layer of deliciousness. 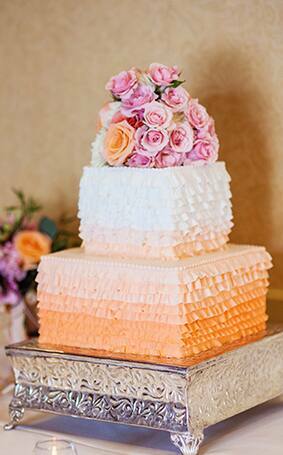 If you're seeking a dramatically feminine edge for your wedding cake, an ombre ruffle is an extraordinary detail. 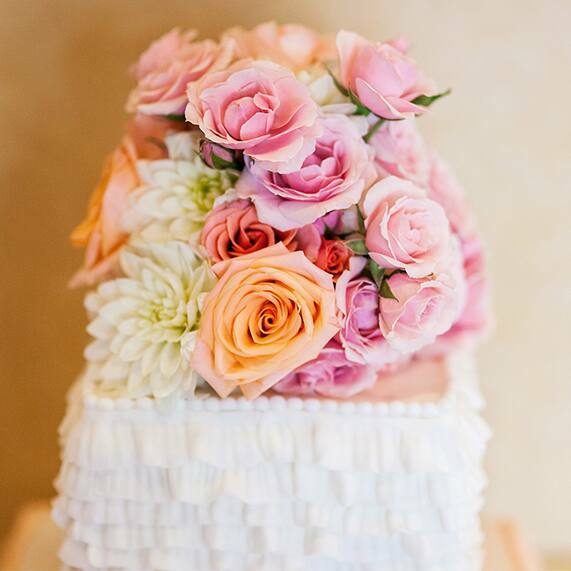 Add a little fresh floral to match your bouquet for the topper and your entire celebration will be tied together in full bloom.